67% of shoppers plan to give a fitness tracker as a gift this holiday and the 30% who already have one, never leave home without it. They track your activity, motivate you to do more and make it easy to track your progress– what’s not to love? With New Year’s resolutions right around the corner, they seem like the perfect gift. But with so many options on the market, how do you know which one is right for you? Here’s a trio of options you can’t go wrong with—find the one that’s perfect for your lifestyle and level of activity, or give one to a friend and help them kick-start the New Year. 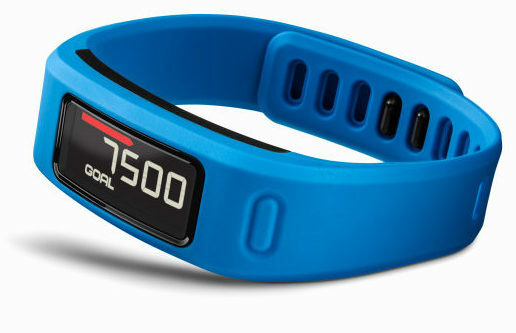 The band’s Move Bar detects inactivity and motivates you to get out of your seat, even for just a quick walk. It uses two replaceable coin cell batteries that last up to a year, rather than having to be charged daily or weekly with an adapter. Monitor your quality of sleep, including total sleep hours as well as periods of movement and restful sleep. You can use the Garmin Connect app to track your fitness progress, join online challenges, and earn virtual badges. The Smart Coach tool takes all the personal info it gathers and spits out customized sleep, fitness, and health goals (drink more water, go to bed earlier, etc.). A built-in accelerometer tracks the number of steps you take/the distance you travel by foot as well as how much and how well you sleep. The accompanying free smartphone app, called UP, tracks your food, drink, calorie, and nutrient intake—scan each item’s barcode or log your meals manually. The app’s Smart Alarm tool gently wakes you during the best possible moment of your sleep cycle, meaning you’ll wake up feeling refreshed. This just-released fitness band provides the capabilities you’ve come to expect: It tracks your heart rate, steps taken, calories burned, sleep quality, and more. Unlike most other bands, though, it displays previews for incoming emails, calls, texts, weather, and calendar alerts—without using your phone. Also unique: Its cross-platform compatibility allows it to sync with iPhone, Android, and Windows Phones despite being a Microsoft product. 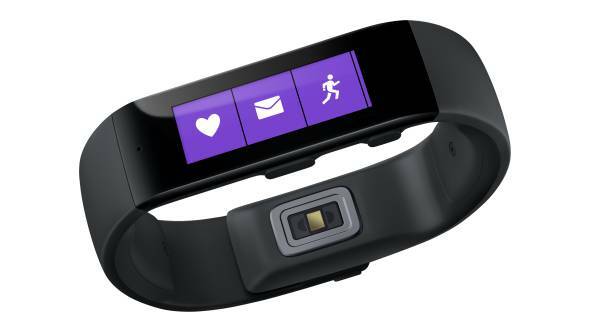 Finally, you can monitor your heart rate 24/7.